Everyday practice of religion is complex in its nature, ambivalent and at times contradictory. 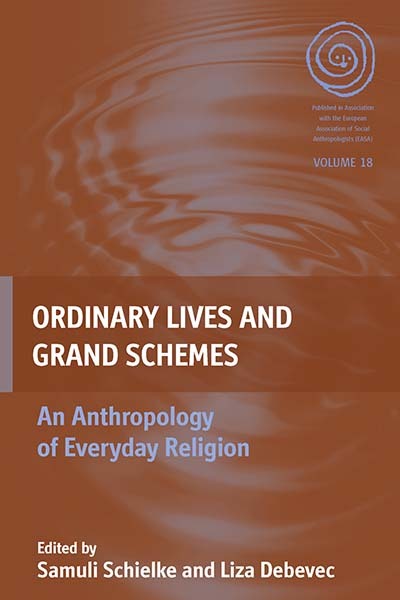 The task of an anthropology of religious practice is therefore precisely to see how people navigate and make sense of that complexity, and what the significance of religious beliefs and practices in a given setting can be. Rather than putting everyday practice and normative doctrine on different analytical planes, the authors argue that the articulation of religious doctrine is also an everyday practice and must be understood as such. Samuli Schielke is a research fellow at the Zentrum Moderner Orient in Berlin. His research interests include Islam, festive culture, subjectivity and morality, and migration and aspiration in Egypt. Liza Debevec is a research fellow at the Scientific Research Centre of the Slovene Academy of Sciences and Arts. Her research focuses on the anthropology of everyday life practices in urban Burkina Faso.